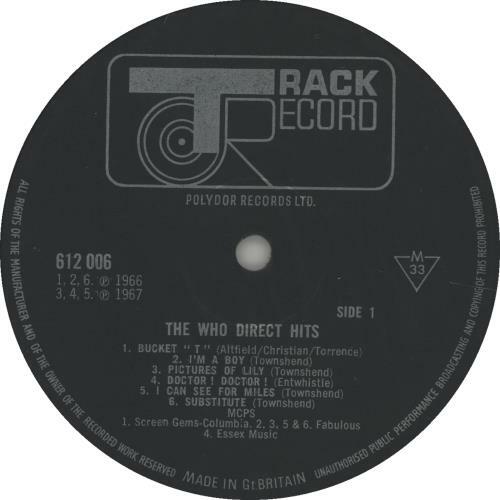 THE WHO Direct Hits (Very rare original 1968 UK Track label 12-track MONO vinyl compilation LP, front laminated picture sleeve. 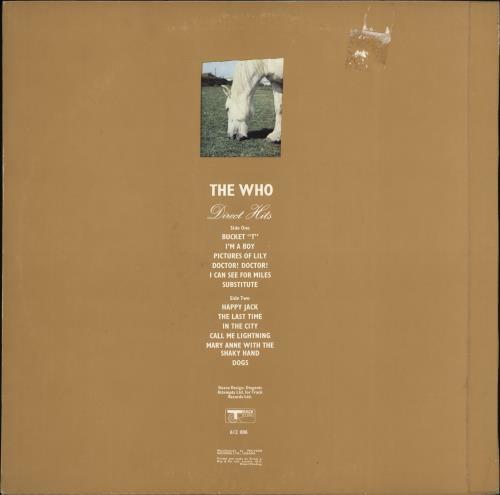 The sleeve displays just a little general wear with some light edge scuffs & a small sticker tear to the back, yet all print remains clearly legible including along the spine. The labels have just a few light spindle marks yet the vinyl remains clean with only a few light signs of play, overall an excellent example). 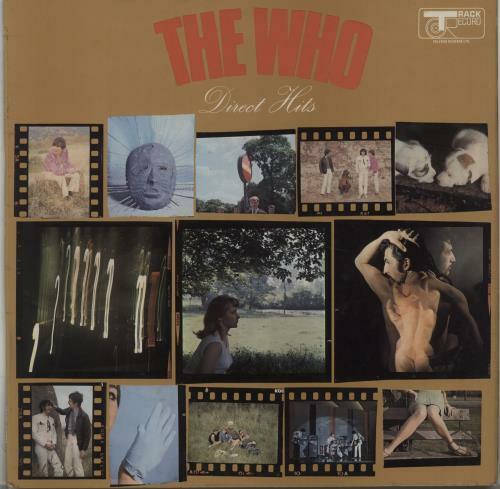 or visit our The Who image gallery.